Christina Schell was born and raised in Langley, B.C., where her love for dance began at the age of three. Her background in dance pulls from years of training and experience in all areas of ballet, jazz, lyrical, contemporary, hip hop, jazz funk, heels, tap, and musical theatre. Christina’s background includes consistent participation in dance competitions across British Columbia. She attended Langley Fine Arts School (LFAS), where she was a member of their “Esprit De Corps” dance company for a five year duration. As a team, they traveled to Miami, Philadelphia and New York to train as well as perform at the 7th, 8th, and 9th National High School Dance Festivals. Upon graduation from LFAS with a Dance Major, Christina received scholarships to Coker College, South Carolina and Calgary, Alberta. 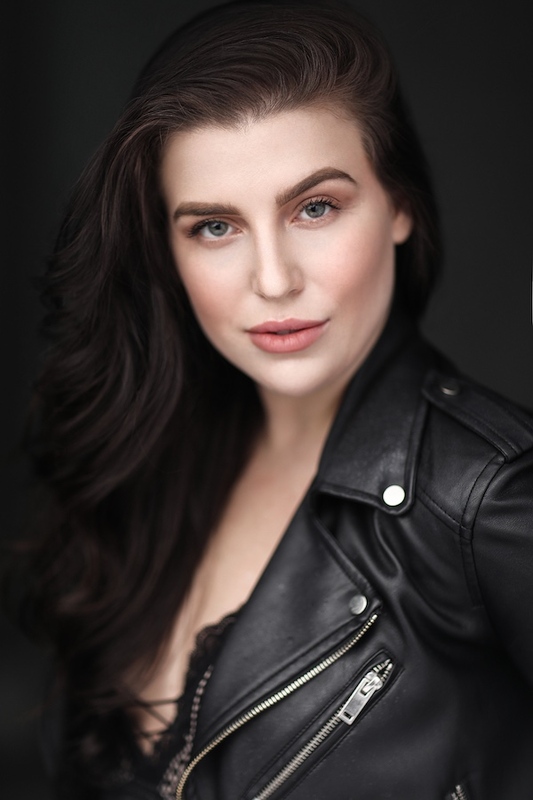 To further pursue her career in dance, Christina moved on to work extensively in Vancouver with The Source, a professional dance company under the director of Joanne Pesusich. Following that, she accepted a contract with Princess Cruise Lines as a professional dancer on an eight month contract throughout the Caribbean. In 2010, Christina auditioned in Calgary, B.C. for season three of “So You Think You Can Dance Canada” where she made it to the finals in Toronto. Her audition in Calgary was aired across Canada on CTV. Christina has continued to travel throughout Canada to train and perform, even expanding universally in places such as China, London, and Los Angeles. Christina has worked on feature films, “John Tucker Must Die” and ”Center Stage: Turn It Up”. Christina played the dance double for the lead character in Disney’s TV movie, “Zapped”, directed by Peter DeLuise and choreographed by Aakomon “AJ” Jones. Other credits include dancing in the Nickelodeon film, “Rags”, choreographed by Rosero McCoy and Kelly Konno. Christina’s recently choreographed and playing the lead in the new Mariana’s Trench Music Video, “Astoria”. She also recently choreographed and played the lead for the Neon Dreams Music Video, “Find a Way”. If you ever find yourself at Guilt & Company in Vancouver, then you might find yourself at a Darling’s show! Christina is part of a 1950’s style cabaret group called “The Darlings Cabaret”- an intimate and interactive show that combines rock, jazz, and indie into their modern cabaret-style show that performs to sold out crowds across Vancouver. Christina started her blogging journey in 2016 when she thought it was time to provide people with a closer look into her life. Christina calls her blog, “Life in a Schell”. She has been very successful in the social media world. Life in a Schell is s lifestyle brand meant to inspire others and to give an inside look at Christina’s life and love for travel, fashion and beauty. Christina showcases all her current work, behind the scene footage, and her dance videos on her blog, and social media accounts. In the beginning, Life in a Schell was just a fun thing to do on her spare time. Now it’s grown and Christina is being recognized for her online presence. She has entered the world as a social media influencer. She has partnered with many brands and is sponsored by company’s around the world. Christina knows how to sell products in a way that matches her lifestyle and performers look up to christina in this area. Life in a Schell has become a business and Christina can’t wait to see where it’ll take her for the years to come. She’s already completed many goals for Life in a Schell and can’t wait to cross many more off the list. Travel, fashion and beauty are passions of Christina’s aside from dancing and acting. Being able to have a voice and inspire others is the ultimate dream for her.